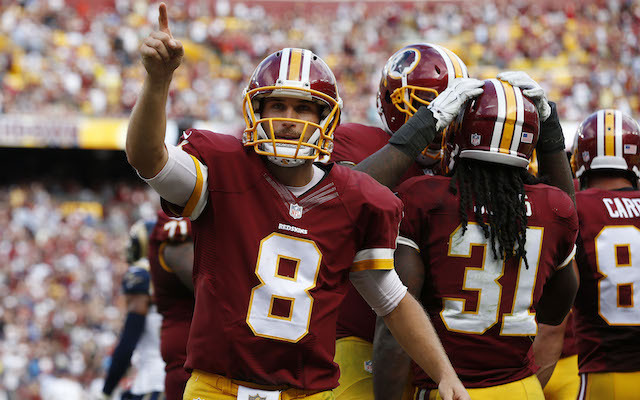 The Washington Redskins have a 24.25 point implied total and are one point underdogs on the road this week. With both Jordan Reed and DeSean Jackson dealing with injuries this week, it will be imperative to monitor who will be starting for the Redskins and who will be forced to sit out. 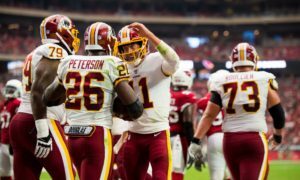 The Redskins have excellent matchups at multiple positions and a positive spin on the injury news could be the value found in each player’s replacement. We also have a running back who is coming off of a career day, and the team is looking to build on their current four-game win streak. Now let’s take a look at which Redskins players should be considered in daily fantasy football for Week 7. Kirk Cousins is in a great spot here against the Detroit Lions, who have allowed the most fantasy points per game to opposing quarterbacks this season. The Lions have allowed each quarterback they have faced to throw at least two touchdown passes, and they have only intercepted three passes all season. Meanwhile Cousins has passed for more than 250 yards in each game. Despite a better matchup than last week, Cousins’ price actually dropped by $100 on FanDuel, where he is the 20th most expensive quarterback this week. On DraftKings, where like FanDuel he costs 12% of the total salary, he is the 17th most expensive player at his position. His price and the soft matchup puts Cousins in play in all formats, and is especially valuable for anyone looking to spend up at other positions. Matt Jones has rushed for over 100 yards and a touchdown in two of his last three games. His 135 rushing yards last week marked a new career high, and his price only went up by $200 on each daily fantasy site for Week 7. Now he draws the Lions defense that has allowed three running backs to top 100 combined yards this season, but has only allowed one touchdown to an opposing back. Each running back with double digit touches against the Lions has totaled at least 75 yards, and Jones has seen at least 14 touches in each of his past five games. I am hesitant to use Jones on FanDuel, where he costs 12% of the salary, but at only 8% of the cap on DraftKings he should be in consideration in all formats. 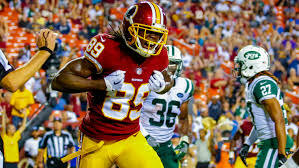 Jamison Crowder found the endzone last week for the third time this season, and did so against a team that had previously only allowed one touchdown to opposing wide receivers all season. This week he gets a Detroit defense that has already allowed opposing wide receivers to score nine times. According to Pro Football Focus, he has run 73% of his routes from the slot this season. That will match him up against Quandre Diggs, who is the lowest graded of the Lion’s cornerbacks. He could also added playing time if Jackson is unable to go this week after missing practice the past two days. 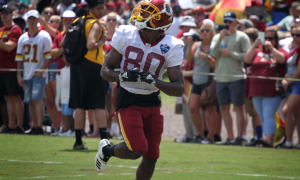 If Jackson is out, Crowder would likely line up on the right side in two-receivers sets. Darius Slay has covered the right wide receiver on 66% of the time this season and his given up 0.47 fantasy points per route to opposing wide receivers. To take it a step further, Scott Barrett’s DFB Matrix shows that 80% of the PPR fantasy points from wide receivers against the Lions have come from the slot or right side. Crowder is very cheap on both sites and is worthy of consideration in all formats. If Jackson is forced to miss the game, Crowder will receive a significant boost to both his floor and ceiling. DeSean Jackson has eight total catches over his past three games and has been held under 60 yards with no touchdowns in each game. He also missed practice with a shoulder injury on both Wednesday and Thursday, and we’ll need to monitor his situation leading up to the game to see if he even plays. If he is at full strength by Sunday, he will have a great opportunity to get back on track. Jackson has run 77% of his routes this season from either the slot or the right side, which as I mentioned is where the Lions are susceptible. Due to Jackson’s inconsistent play and injury concerns, he is not playable in cash games this week. However, his big play ability and plus-matchup make him a fine tournament option with a low floor and high ceiling. Vernon Davis scored his first touchdown of the season last week and will likely be the starter again in Week 7 with Reed still recovering from a concussion. He will be welcomed by the Lions defense that has given up seven touchdowns to opposing tight ends already. However, only one tight end has caught more than four passes and 55 yards against Detroit this year. That makes Davis a very touchdown-dependent play, but at the minimum price on FanDuel and only 6% of the salary cap on DraftKings, he is an excellent option in all formats if he draws the start. If Reed surprisingly does end up playing, he will be one of the top tight end options this week.